More on the OFM X5L5-4824-SLVR X5 Lite Sliding Storage System (Five 4-Shelf Units 48x24) below. 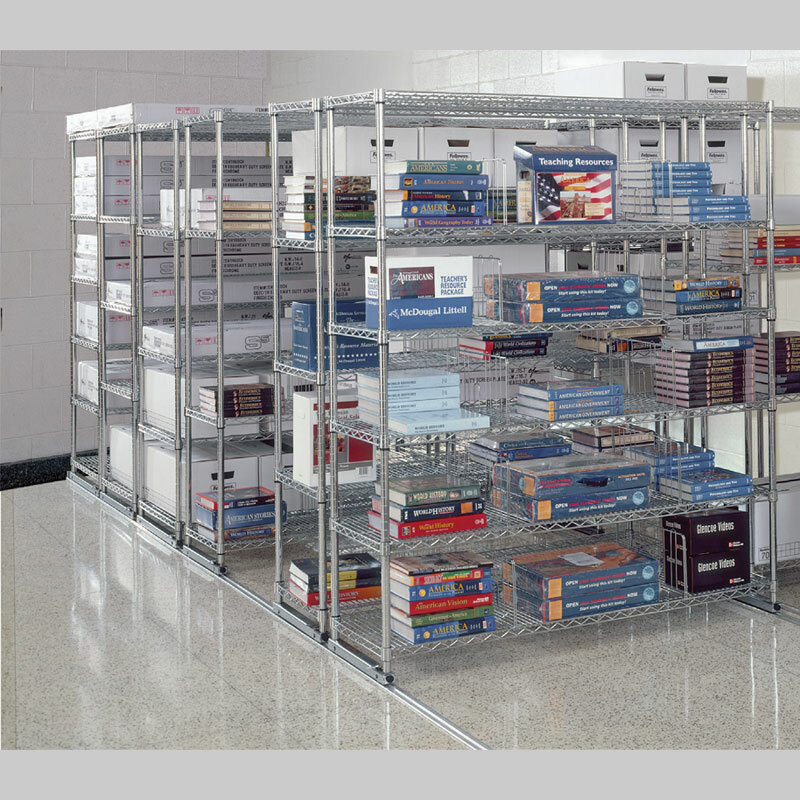 OFM's patented X5 Lite Space-Saving Sliding Storage System allows for a 40-70% gain in overall storage capacity by eliminating wasted space between shelves. Shelves slide effortlessly on a steel track system, turning normal aisle space into additional storage space and allowing you to easily customize, expand and reconfigure your room. Five shelving units, each with four shelves. Also available in black finish. See related products below. 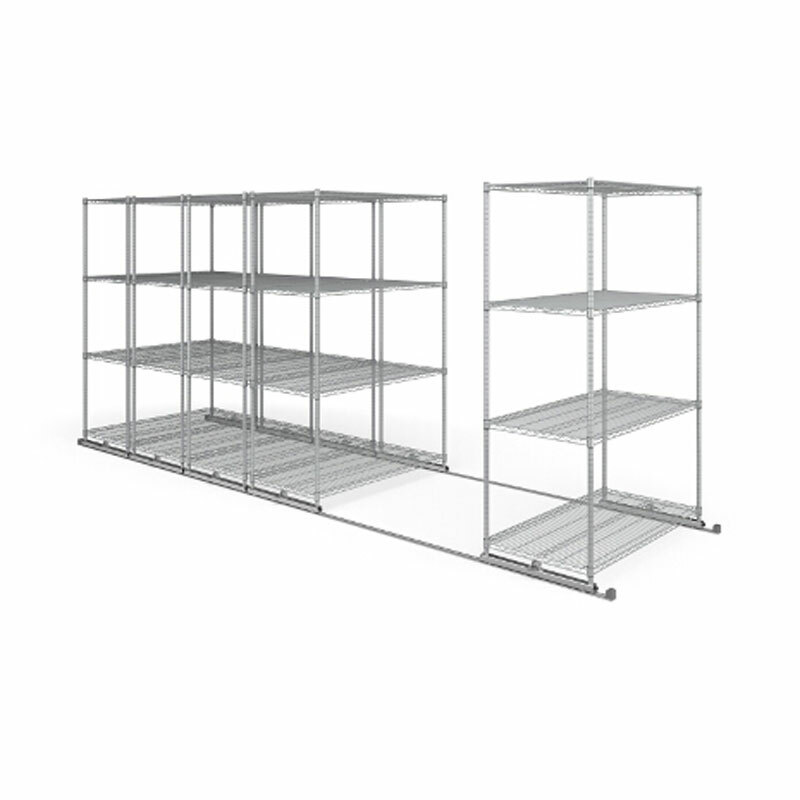 Available in 2 shelf depths: 18" and 24", and in 2 shelf widths: 36" and 48". See related products below. 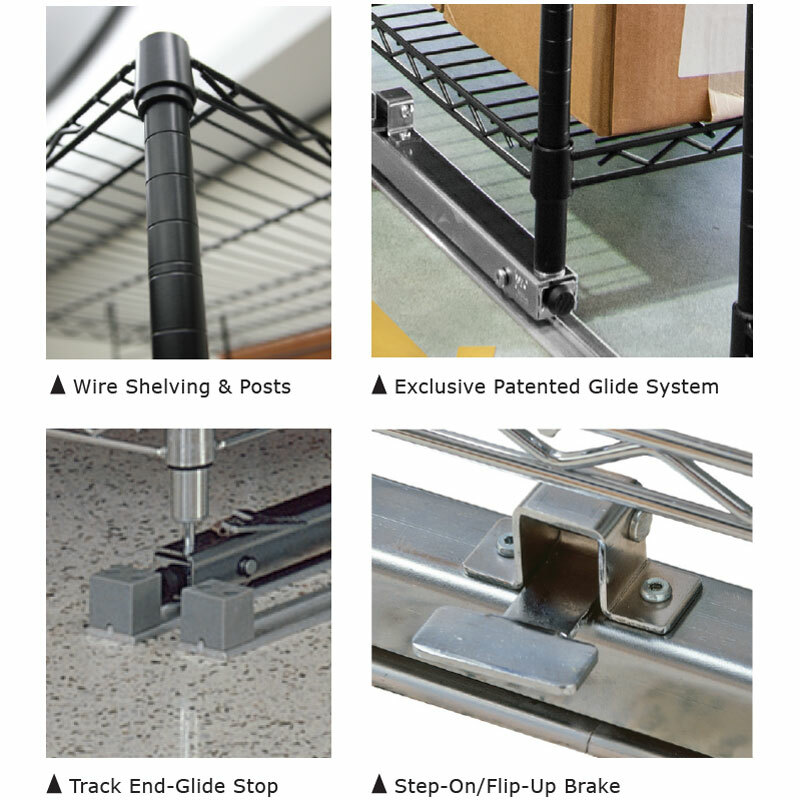 A large range of storage accessories, including add-on shelves, shelf liners, bumpers, dividers and anti-slide side plates, is available in the "Related Products" section below. If you need help determining which units to order, call our Sales line at 1-800-807-1477.